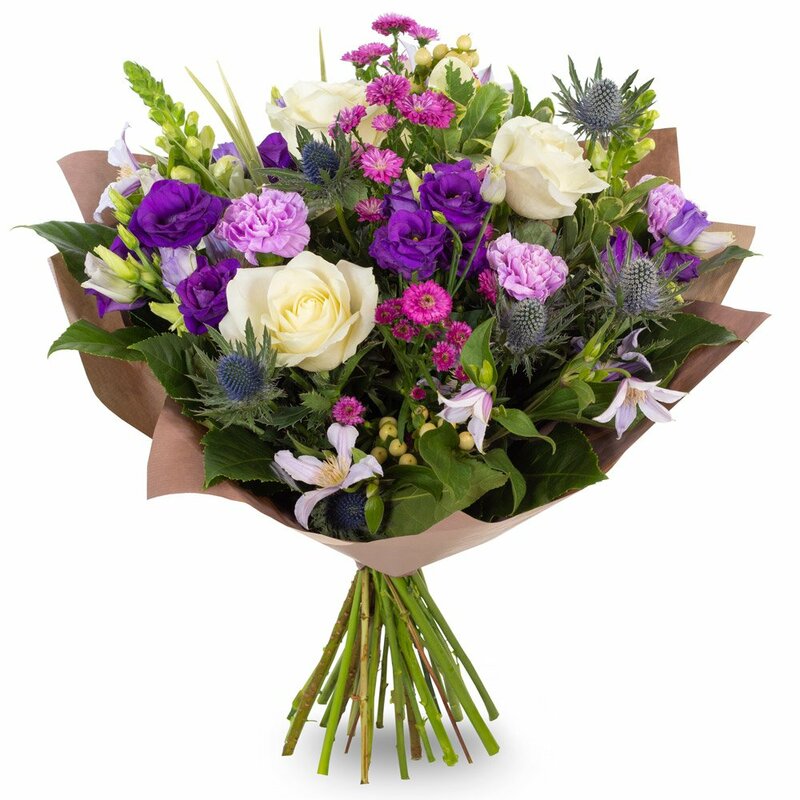 This hand tied bouquet in shades of purples and whites makes the perfect gift for every occasion. Flowers may vary from illustrated due to seasonal availability. Same day delivery may be available on orders received before 2pm local time. Flowerscene deliver in Aberdeen and surrounding areas.